DHARAMSHALA: Sikyong Dr Lobsang Sangay today opened an international conference of China experts entitled, ‘Leadership Transition in China: Implications for the Chinese, Tibetans and Others’ at Gangchen Kyishong. In his inaugural address, Sikyong Dr Sangay said that the experts’ perspectives and their substantive analysis on China’s political, social and economic point of views would help CTA’s approach. “The recent change in the Chinese leadership will have global implications, regional as well as on India and the Tibetan people. And your much sought after expertise will help us prepare and think through as to how we should move forward in the comings months and years,” he said. Kalon Dicki Chhoyang of Department of Information and International Relations spoke about the genesis of the Tibet Policy Institute. 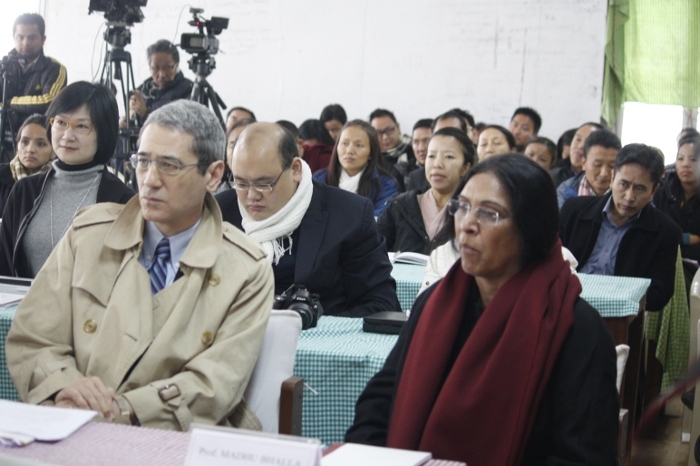 She said the Tibet Policy Institute is a new initiative by the administration to conduct research and advise the Central Tibetan leadership on policy making. “The Tibet Policy Institute was initiated because we had a strong need for a think-tank. We want this institute to reach international standards in terms of intellectual vigor and objectivity. What we don’t want is an equivalent of Chinese propaganda machinery on the Tibetan side,” she said. Prof Chong Pin-Lin, Taiwan’s former deputy minister of national defense, expressed optimism about new Chinese president Xi Jinping’s future approach towards the issue of Tibet in view of his father’s liberal stand, and his wife as a follower of Tibetan Buddhism. He said Mr Xi may approach His Holiness the Dalai Lama for dialogue on Tibet problem and he also faces grave challenges to tackle issues of minority nationalities. Other speakers at the conference include Dr Gordon Chang, noted lawyer, author and television analyst, Prof Micheal van Walt van Praag,visiting professor at Princeton, Prof Madhu Bhalla, Dr Abanti Bhattacharya, Zhu Rui and Kasur Lodi Gyaltsen Gyari, former special envoy of His Holiness the Dalai Lama. The conference is organised by the Tibet Policy Institute (TPI) and will be held from 28-30 December.